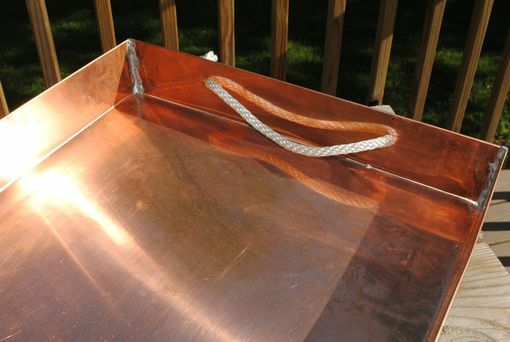 This stylish Copper tray protects floors, counters,dry sinks and more from spills. Tray measures 45" L x 17" W with a 2 3/4" depth but can customize size to fit your needs.Made from 16 0z copper sheets.Soldered with lead free solder in corners. Fantastic experience and great finished product. Could not be happier. Terence answers all my questions and accommodated my custom specs. 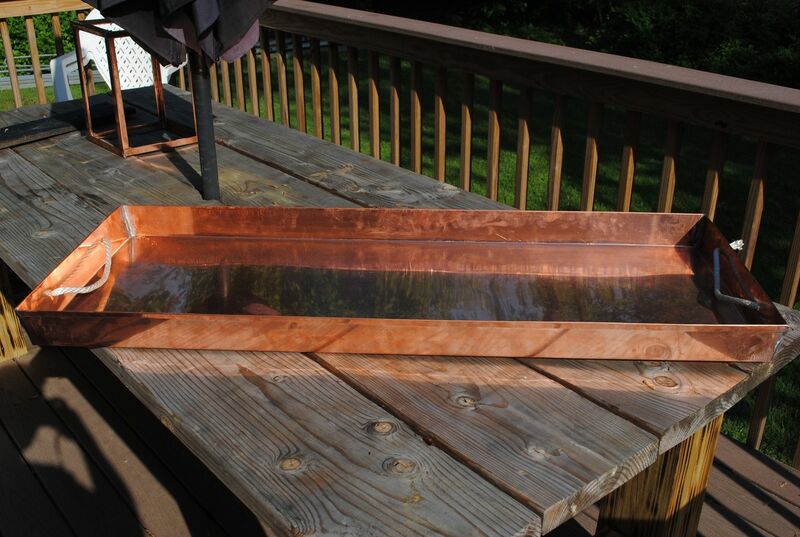 Shipping box was unbelievable... copper tray didn't stand a chance of getting damaged. Thanks for a great experience! Hello, i just received my tray. I love it ad it fits perfectly and so well made. Great job! 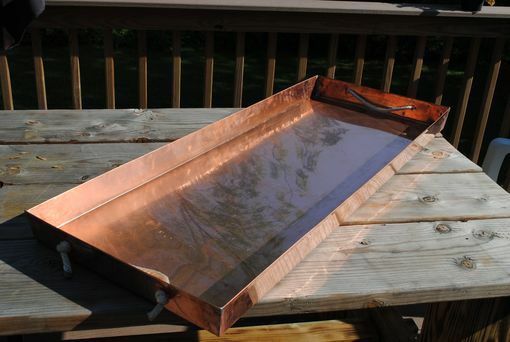 I love my copper tray! It's exactly the dimensions I wanted and Terence Dolan was super easy and nice to work with. 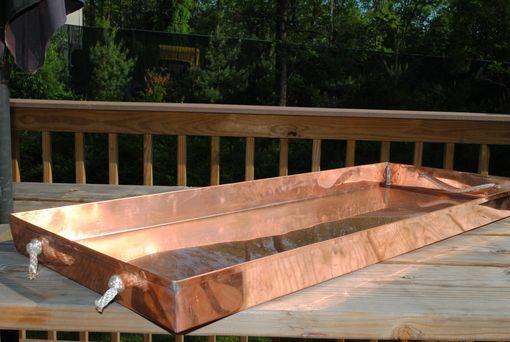 Very happy with large copper tray for my house plants. Thank you! !